Beaches, sun, and swimming was what Whitney thought sheâd get when she moved all the way across the country to the Atlantic Coast. It was a chance to start over, a fresh start outside the paranormal night human world she grew up in. She was ready to be a normal human; one who didnât have to worry about drinking blood or all the fighting that went on in that world. After one year of getting used to her new reality, Whitney discovers that maybe she was never meant to leave the night human world after all. Deciding to take swimming lessons, she is paired with high school hottie, Prince Sam as her friends called him. That one decision changes her life, and sheâs quickly thrown right back into the night human world she thought she was getting away from. The only question is: Can she survive going back? Tipping his head back, Sam stared at the clouds. Life would have been much easier if the other night humans knew about the sirens. They would be free to stay on land as much as they wanted, and he would have access to blood banks and not have to trick day humans into swimming lessons to feed himself. And his job of keeping the land sirens safe would be so much easier if they werenât running around hungry all the time. He hated the way everything had turned out. He understood it, but that didnât mean he had to agree. The splashing in the pool had stopped. Sam looked down to see whether his student was taking a break or she was done for the day. She wasnât at her twentieth lap yet. By his calculations, she was only at fourteen. Jumping up from his seat, Sam dove effortlessly into the pool and across the width of the lanes without surfacing for breath. Yes, some wandering day human too close to the pool could have seen, but it was an emergency. Whitney was floating face down in the pool, and she wasnât just holding her breath. In one swift motion, Sam lifted Whitneyâs lifeless body out of the water as he emerged from below her. He immediately jumped out beside her. Without hesitating, Sam began to breathe into her mouth. Her heartbeat was slowing. He didnât need to feel for a pulse; his senses told him that much. Sam blew into her mouth again, trying to get air to her body. With her blonde hair matted to her, Whitney lay there limp and unresponsive. Sam stared at her. Even on the verge of death, he was pulled to her, but now his siren instincts were taking over. He had seen his share of people dying from drowning, and they all looked as appetizing as she did when she swam. Now as she was dying Sam realized he didnât want to feed on her, he wanted to keep her alive. 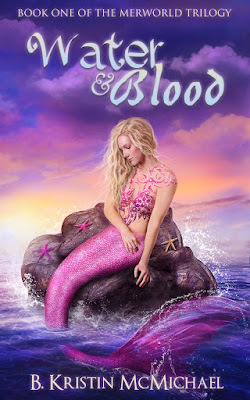 B. Kristin McMichael is the author of YA and clean NA paranormal fiction. Her vampiric "Night Human World" includes the YA coming of age series "The Blue Eyes Trilogy" and the spin-off adventure series "The Day Human Trilogy" and âThe Skinwalkers Witchlingâ. She's also the author of the NA time travel romance series "The Chalcedony Chronicles". 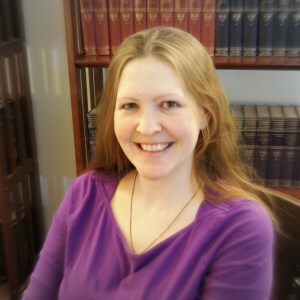 B. Kristin McMichael lives in Ohio with her husband and three children. If you donât find her writing, then she probably has a book in her hand. Make sure to stop by and say hi on her social media.